Lack of sleep, too much stress, poor nutrition and prescription medications can draw on energy reserves, using them up faster than they can be replenished. Even the vital biologic systems can create an energy deficit that needs to be restored. Based on peer-reviewed, double-blind research, MitoCORE Protein Blend provides a unique blend of acetyl L-carnitine, alpha lipoic acid and N-acetyl cysteine. All have shown to support immune function and energy output. MitoCORE Protein Blend also includes key micronutrients and phytonutrients, including green tea, broccoli seed extract and resveratrol, to protect the mitochondria and continually recharge the cycle of energy production. The protein addition allows an ease of nutrition for those with immune challenges. 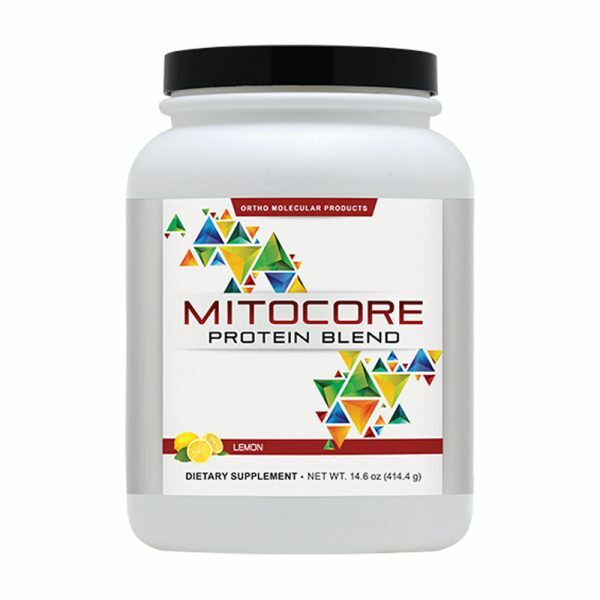 MitoCORE Protein Blend is available in delicious strawberry and lemon flavors. Suggested Use: Mix 1 scoop (29.6 grams) of MitoCORE Protein Blend with 8-10 ounces of the beverage of your choice to the desired thickness, once daily or as recommended by your health care professional.